Quality cosmetic surgery is an important investment that can dramatically improve your health, confidence and personal well-being. At Lasky Clinic, our staff is devoted to helping you explore your financing options — so you can afford the change you want without having to worry about the cost. Will Insurance Cover Your Procedure? Lasky Clinic is a participating provider with select insurance companies, and often honors in-network benefits. While most cosmetic surgeries do not qualify for insurance coverage, certain necessary procedures may qualify. For example, if your doctor needs to repair a deviated septum during a rhinoplasty (nose surgery) in order to improve your breathing, your insurance company may cover that portion of the surgery. Before reviewing your financing options, our staff will thoroughly research your insurance options to help reduce your out-of-pocket expenses. We’ll contact your insurance company — so you don’t have to — and communicate your potential expenses up front, so there are no financial surprises after your surgery. 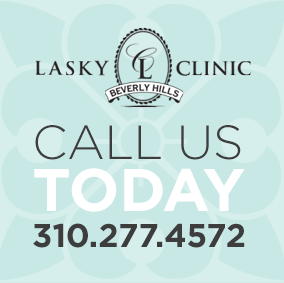 Please note: Lasky Clinic charges do not include fees for your surgeon, consulting physician or anesthesiologist. For your convenience, many of the surgeons who practice at Lasky Clinic accept CareCreditSM, the nation’s leading financing program for health, beauty and wellness needs. CareCreditSM offers a variety of attractive benefits, including promotional interest rates, low monthly payments and no annual fees. During your doctor consultation, a patient coordinator will discuss CareCreditSM and other available financing options with you to help best meet your needs.